December is here, which means we can officially start celebrating the silly season! Most households will have their Christmas tree's up, decorations out and Christmas lights lit up nice and bright. And, what better way to get into the Christmas spirit, than to do some fun craft projects with the kids! If you're looking for creative ways to get your children into the Christmas spirit, then here are some fun and creative craft ideas that you can get the kids involved in. Nothing beats a DIY Christmas tree ornament at Christmas time. The options are endless with this type of Christmas craft project, and so many fun memories can be made when making this sort of decoration. 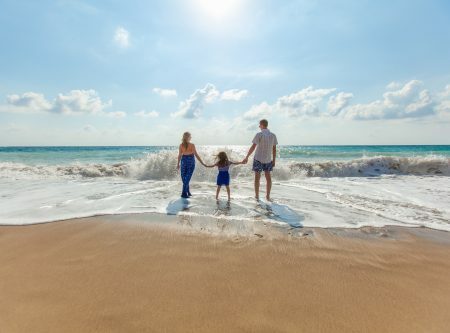 From personalised baubles that the kids write their names on, to photographs of them immersed into a cartoon Christmas tree; imagine the joy on your child's face when they see their personalised ornament on the Christmas tree! 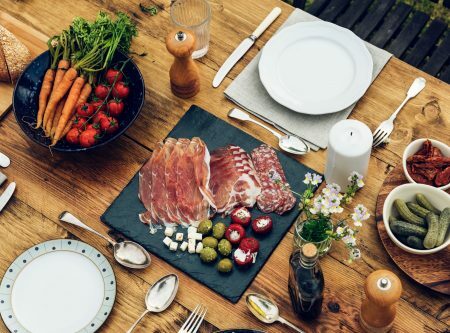 You could even make one every year and make it a family tradition. 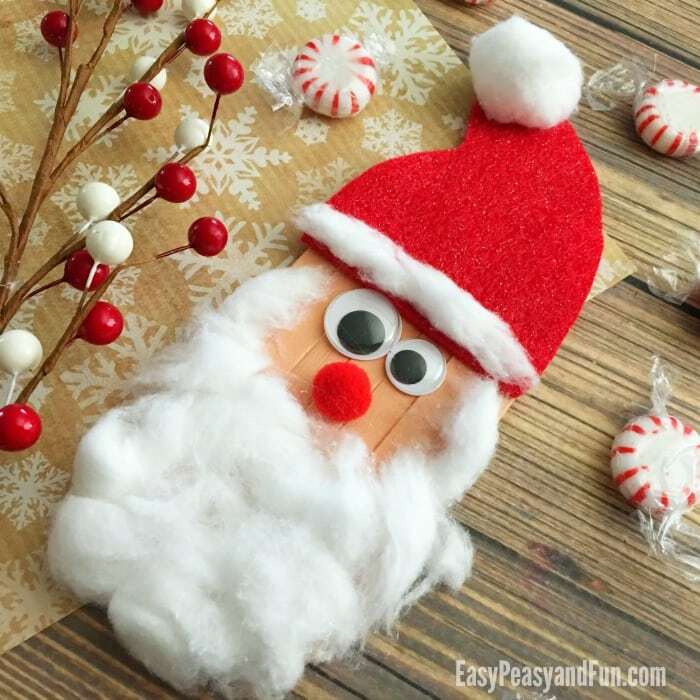 Who doesn't love creating Santa Claus craft at Christmas? Especially when it's a DIY Santa face! 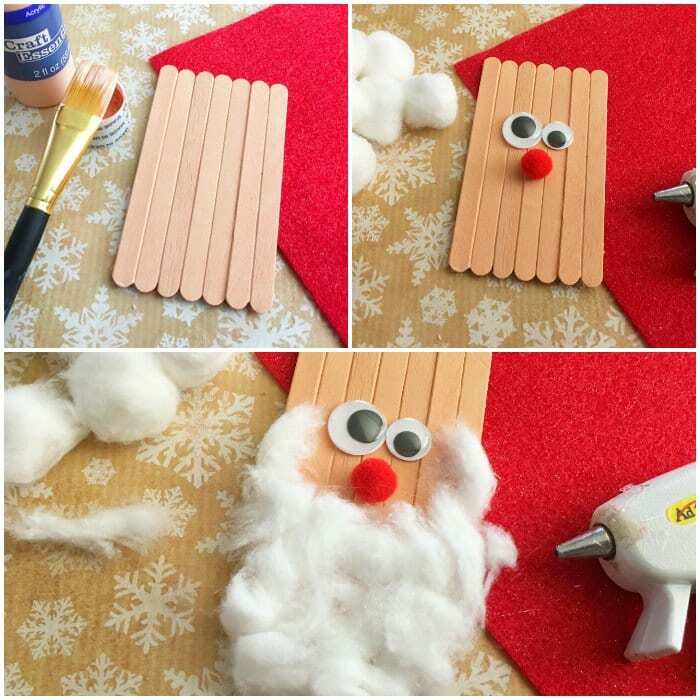 8 popsicle sticks, tan craft paint, googly eyes, cotton balls, red felt, red pom-pom balls, scissors, hot glue, paint brush. - Line your craft surface with a piece of old newspaper. - Carefully cut a popsicle or a craft stick in half, place them horizontally, and glue your other 7 stock vertically onto your sticks. -Paint your stocks tan and let dry. - Hot glue two googly eyes about an 1″ down from the top and a red Pom-Pom ball right under for the nose. - Pull apart about 5 cotton balls and carefully glue them to the bottom of your Popsicle sticks to make a beard. - Now cut out a hat the width of your 7 sticks and hot glue it right above the eyes. - Hot glue a cotton ball to the top of the hat and a pulled apart piece on the bottom of the hat. Craft idea courtesy of Easy Peasy and Fun. Rudolf the Reindeer is always a hit with kids at Christmas time. Even better when its a 3D reindeer too! 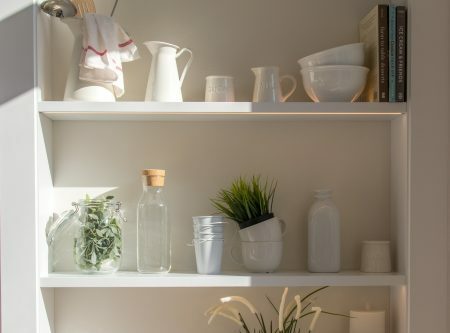 This one is super simple to make, and we guarantee that you'll want to make more than one and place them all on display! Jumbo craft stick, brown cardstock paper, googly eyes, brown pipe cleaner, red pom pom, glue stick, glue gun. - Start by cutting a triangle out of your brown cardstock paper. Cut a square out about 4-inches by 4-inches and then cut out the triangle from that. Also cut out two small ears. - Glue the ear onto the side of the reindeer face (triangle pointing down). - Cover your jumbo craft stick half way down with tacky glue and glue on your triangle with the point at the bottom. - Use your tacky glue to glue on your two googly eyes, and your red pom nose. - Cut your brown chenille stem in half, then those two pieces in half again. Cut two of those sections in half one more time. You will end up with 6 pieces. Twist two of the small pieces around one of the bigger pieces one time and then point the ends upwards to make antlers. Do the same with the other pieces. 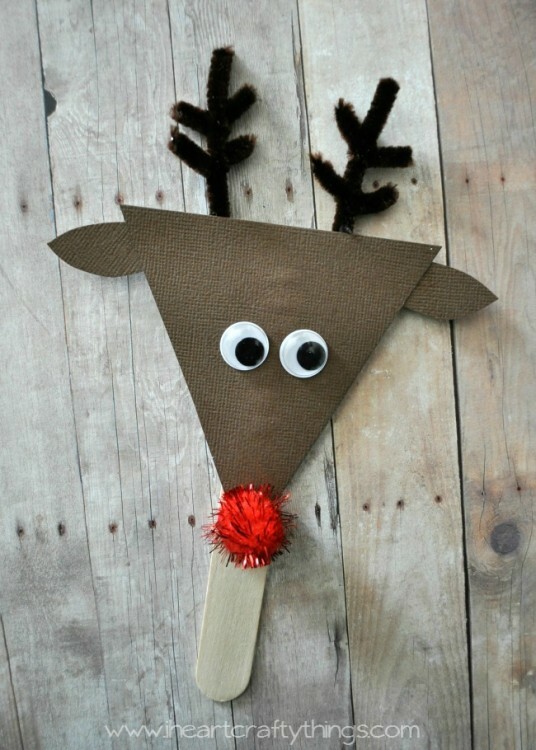 - Use a generous amount of tacky glue or a hot glue gun to glue your antlers to the back of your reindeer. Let your puppet dry completely before playing with it. Craft idea courtesy of I Heart Crafty Things. Use up your excess pasta and let the kids create a pasta Christmas wreath! Mini bow tie noodles, green paint, paintbrush, green glitter, red ribbon, glue. - Start by painting all the little bow tie noodles with green paint and shake with green glitter. - Once the noodles are completely dry, glue them into a circle on a piece of white card stock. 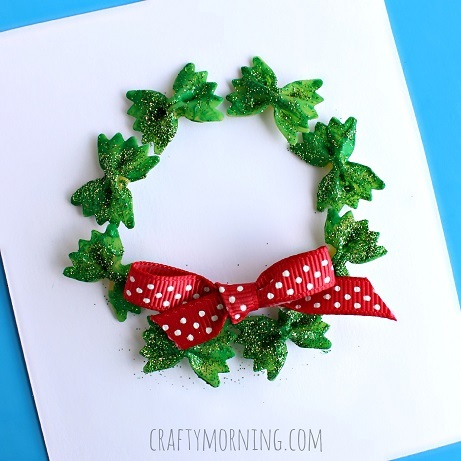 - Tie a bow with a red polka dot ribbon and glue it on the bottom of the wreath! This cute wreath could also be great for decorating on Christmas cards. Craft idea courtesy of Crafty Morning. 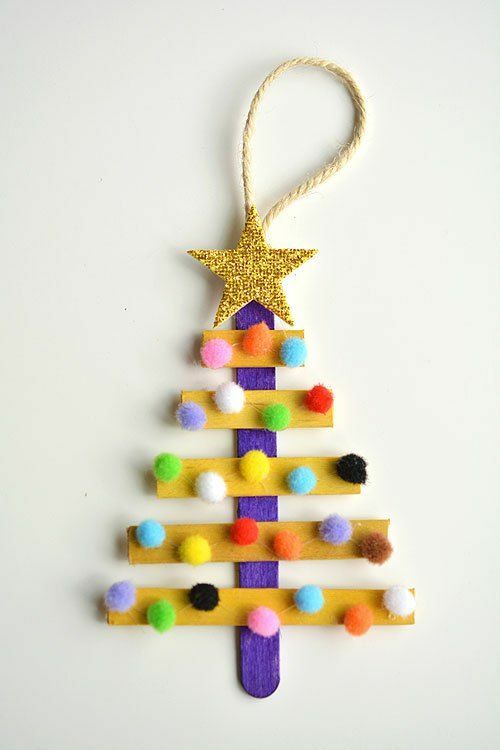 Will you be making any of these Christmas craft items with your kids? Head down to South.Point to get your supplies!